Caravella is a premium limoncello, a lemon infused liqueur from Italy. People familiar with limoncello are likely to have first tasted it as a digestivo, served ice-cold, perhaps at an Italian restaurant. 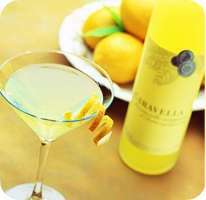 Owing to its history as an after-dinner digestivo, limoncello is typically not thought of as an ingredient in cocktails recipes. Caravella aims to change that. Limoncello is a very social spirit, with a strong affinity for togetherness and bonding the warm feelings of family and good times. We want to help Caravella become the wine of spirits, an exciting alternative to the usual crowd of summertime drinks. The base recipe for limoncello is relatively uncomplicated (lemons, neutral spirits, sugar, water and time)—so easy, in fact, that you can make it at home. That said, Caravella, a premium product that doesn’t carry a premium price (typically ~$20/bottle), makes it even easier. No assembly required! Exquisitely versatile, from brunch to poolside to nightcap. Fill a rocks glass with ice. Add Caravella and orange juice. 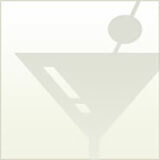 Top with dash of grenadine.